HUMMER Service and Repair in Holly, MI | Armstead Automotive - Armstead Automotive Repair and Service Inc. If you’ve been driving your HUMMER around the streets of Holly looking for a decent auto mechanic, please pull into Armstead Automotive Repair. Our auto repair gurus have your back when it comes to HUMMER service and repair. Although the HUMMER has been discontinued, we still see them here at Armstead Automotive Repair sometimes. And we know why you’d enjoy driving one. You do get a sense of power and security when you drive a HUMMER. 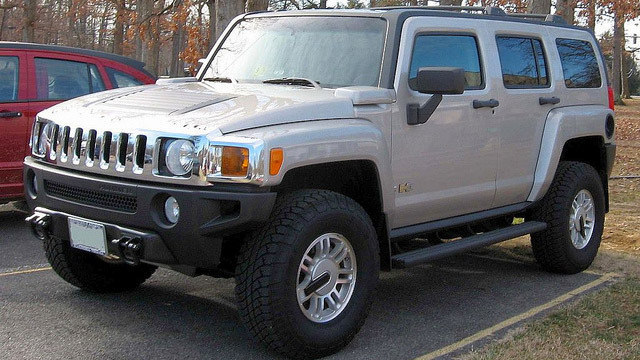 To ensure your HUMMER lasts even longer, our auto repair experts recommend that you occasionally service your vehicle. Chances are, your car needs some tender loving care despite how tough your HUMMER looks. And around Holly, we want you to think of Armstead Automotive Repair as your go-to auto repair shop. Why Armstead Automotive Repair? Lots of reasons. We have boatloads of experience with all types of vehicles, and that includes your car. We are proud to provide a positive, stress-free auto repair experience for our customers. We know you’re upset when something happens with your HUMMER or anything that makes your car break down. We listen to your stories, and sometimes those stories aren’t about cars! We want you to feel comfortable and at home with us. We want you to be a part of our extended family. “What a great place!! Very clean waiting room, offering water and freshly brewed coffee. The day I stopped in they offered us bbq, chips and drinks. Such a great staff, I was working with Jared and he was very helpful, friendly and professional. Went in to get my tires changed and had a few other concerns and without hesitation Jared was willing to have the guys take a look and see what other problems may have been occurring. Would definitely recommend Armstead automotive to others and I will be returning In the future.” -- Cadillac H.
When you need an auto repair shop you can count on in the Holly area, Armstead Automotive Repair is your go-to solid! We have an excellent reputation for being able to fix problems that other shops find too challenging, and we back our work with a 3-year/36,000-mile in-house warranty and a 2-year/24,000-mile nationwide to give you that extra peace of mind. We pride ourselves on standing behind our work and for being there for our wonderful customers. Schedule an appointment today for HUMMER service and repair. We are conveniently located at 15310 Fish Lake Road, Holly, MI 48442. Our hours are 8:00 AM - 5:30 PM, Monday - Friday.